ProSource® of Chicago West Loop offers a variety of kitchen remodel product choices and options to fit your customers’ needs. You can collaborate with a professional kitchen designer to find the perfect style, and you can work with one of our professional Account Managers to budget the entire project from start to finish. When you’re searching for the best products, visit our Chicago showroom. Our friendly, professional staff are always ready to help you and your customer take your kitchen concept and make it a reality. When choosing the style and type of cabinets, the finish and look can define the entire feel of the kitchen. Our showroom offers a variety of kitchen cabinet choices to enhance or match your current kitchen space. 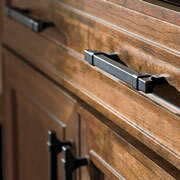 Visit our Chicago West Loop location to find the perfect cabinets. Every cabinet setup needs hardware; it’s why ProSource of Chicago West Loop offers a variety of cabinet hardware options to match the style and design of your cabinet choices. 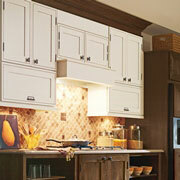 Whether you’re accessorizing new cabinets or updating current ones, we can help. 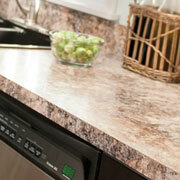 We know it can be tough choosing the perfect material for your kitchen countertops when you have hundreds of options. Consider starting with some of our more popular choices like Quartz, Granite, or even blended recycled materials for your kitchen remodel. The wide variety of colors and styles in these popular choices may offer you a solution. 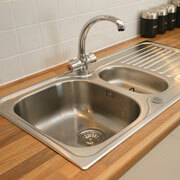 Kitchen sinks are multi-functional and a cornerstone of every kitchen. Our daily lives rely on them to hold dishes, wash dishes, and complete various other functions. Your customer may be looking for a single bowl or a separate double-bowl. No matter your customer’s needs, one of our professionals can help. ProSource of Chicago West Loop offers a variety of kitchen faucet styles, colors, designs, and hardware options to fulfill your sink needs. No more are the days when you must choose a one-size-fits-all faucet. 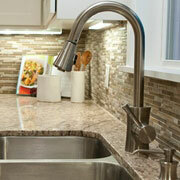 You will find standard, beverage, pot-filler, and many more faucet choices at our Chicago showroom.